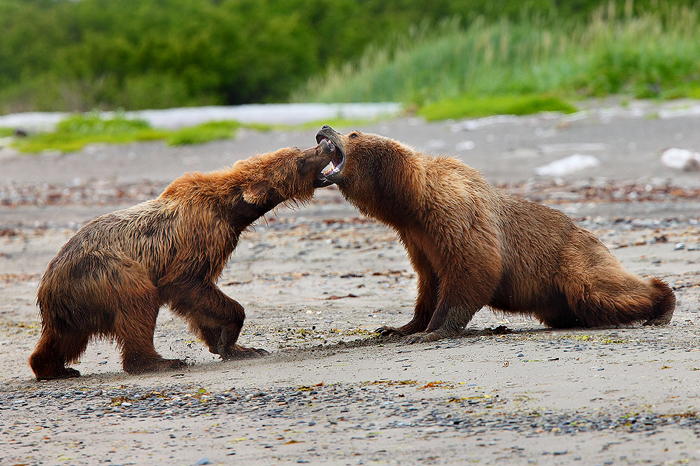 A large female brown bear engages in serious combat with a much smaller male. The prize these two were battling over was a sea otter that had washed ashore. Getting to witness the raw power exhibited by these two massive predators at such a close range sent chills down my spine. It was a moment I will never forget. To see the rest of the images in this series click HERE.